What's the reaction to the gargantuan Avengers: Endgame? And what does it mean for the rest of the Marvel Cinematic Universe? Here's a sampling of critical responses. Avengers: Endgame is one of the year's biggest movies, and the Russo brothers are here to explain why it demands the IMAX treatment – and why you need to experience it this way. Stranger Things' Millie Bobby Brown leads gargantuan Godzilla sequel King of the Monsters, which pits the legendary Kaiju against classic creatures from Godzilla lore. Watch the final trailer here. 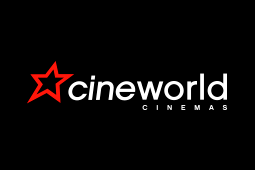 James Wan's spooky Conjuring spin-off movie The Curse of La Llorona screened in advance for Cineworld Unlimited members over the Bank Holiday weekend. Here's what they thought of it. Marvel Cinematic Universe movie Avengers: Endgame is tailor-made for the 4DX experience. Find out why. Olivia Wilde makes her directorial debut with Booksmart, acclaimed as a "filthy and hilarious" coming of age comedy. And Cineworld Unlimited members get to watch it in advance. Feeling the need to brush up on your Marvel history? From Iron Man to Avengers: Endgame, this is your essential guide to the blockbusting Marvel Cinematic Universe. X-Men star James McAvoy plays former Losers Club member Bill Denbrough in this first on-set shot from Stephen King sequel IT: Chapter Two. Quentin Tarantino's ninth movie Once Upon a Time in Hollywood is set to be a twisted delve into Tinseltown. But what other movies have done the same? Cineworlder Andy Murray selects five masterpieces.